(n) food, nourishment, esp of the tasty variety. (v) to eat (Note to foreigners: the rules of usage for this term are still hazy – no-one knows who says it ironically and who seriously). As a student traveling in a foreign country, you often find yourself in the heart-breaking position of being hungry, broke, wanting to explore local culture, and again, broke. You have also promised your mother that you are eating your vegetables. First prize in this situation is to find a local family to adopt you. Soon you’ll be sitting around a dinner table happily chowing your chow. As lovely as this image is, it isn’t a possibility for everyone. Enter this article. You read it, it changes your life, you don’t go hungry, and you taste the sorts of food we make. You’re very welcome. Before we start, there are some items you need to have in your cupboard. Don’t ask silly questions like “will I need these for the recipes”. The point is that all South African households have them, so you should have them too. End of story. 2. Curry powder. Also to be chucked into food at will (channel you inner Salt Bae). 3. 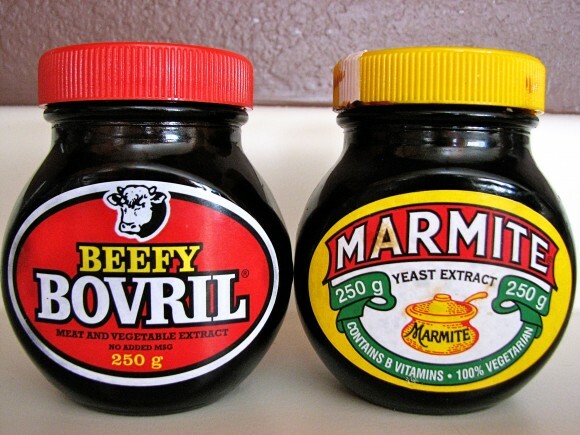 Bovril. Highly Devisive - you either love it or you hate it. Either way it goes on toast. Voila. 4. Rusks. These are not only for babies, I repeat for the people at the back: these are not only for babies! You dunk them in tea or coffee. From personal experience, the optimal submersion period is 12 seconds. You’ll thank me. 5. Rooibos tea. Naturally caffeine free, a pretty red-brown, and ten times better than your average leaf flavoured water. All this covered, here's a quick traditional South African recipe! This is a simple Cape Malay dish, and perfect for leftovers or a group meal. Fry up the mince, onion, and garlic, then add the vegetables and spices. Once cooked, place in a flat oven dish. Mix the egg and buttermilk, then pour the mixture over the mince. Bake in the oven for about 40 minutes at 180⁰C. If you’re feeling fancy, serve it with rice, and sambles such as sliced bananas, chutney (didn’t I tell you?) and coconut. Humble students generally eat it straight from the pan though. Protein for the win.